With a wide range of advanced features and high-quality tones, the Roland RP 102 is designed for the developing musician. This Roland digital piano is equipped with the SuperNATURAL sound engine, producing a wealth of rich and complex tones with a similar organic response to an acoustic piano. Choose from a wide selection of pianos and sounds to create inspiring music, and select from over 200 onboard songs to improve your playing. 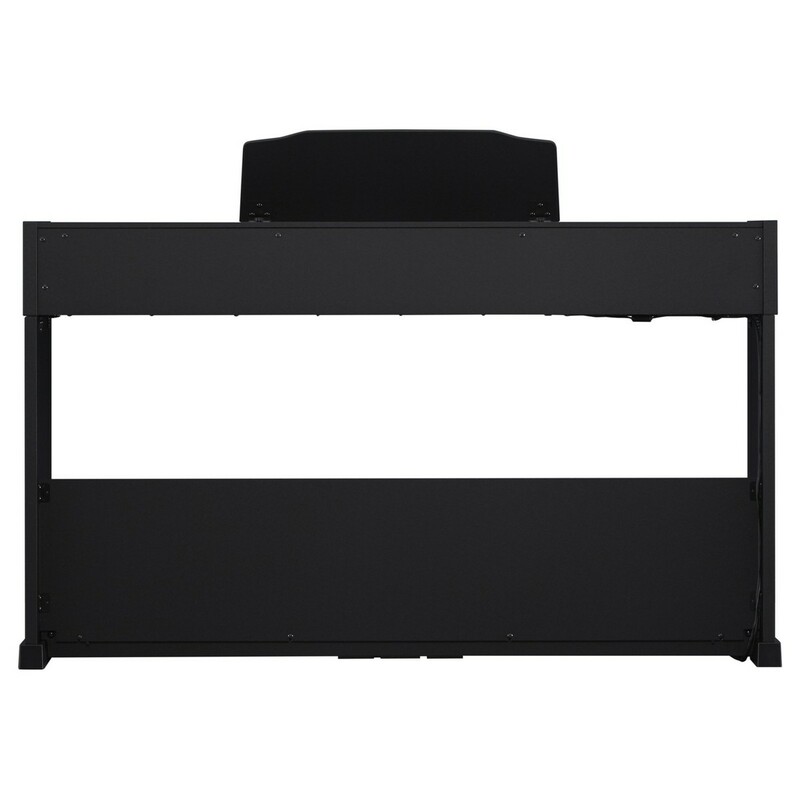 The RP 102 Digital Piano also features a premium keybed with an ivory feel, providing you with a natural and comfortable playability which responds to the nuances of your playing style. 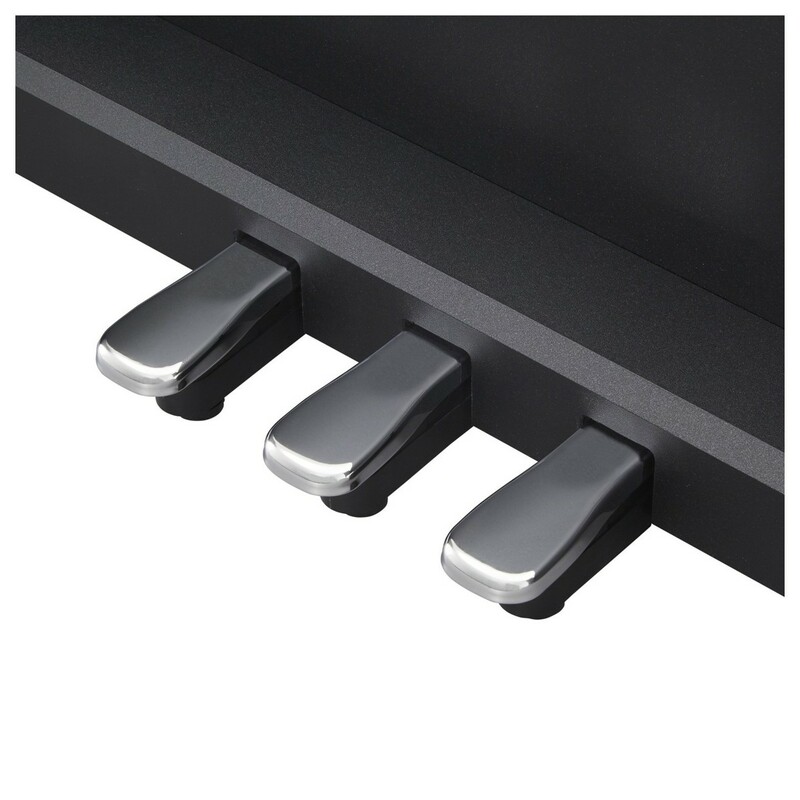 Bluetooth Midi connectivity allows you to easily connect the RP102 to iOS and Android devices to unlock the piano with a host of powerful apps including Roland's Piano Partner 2 and PiaScore. With a stylish compact enclosure and light weight, the Roland RP 102 is the perfect companion for musicians in home and performance situations. 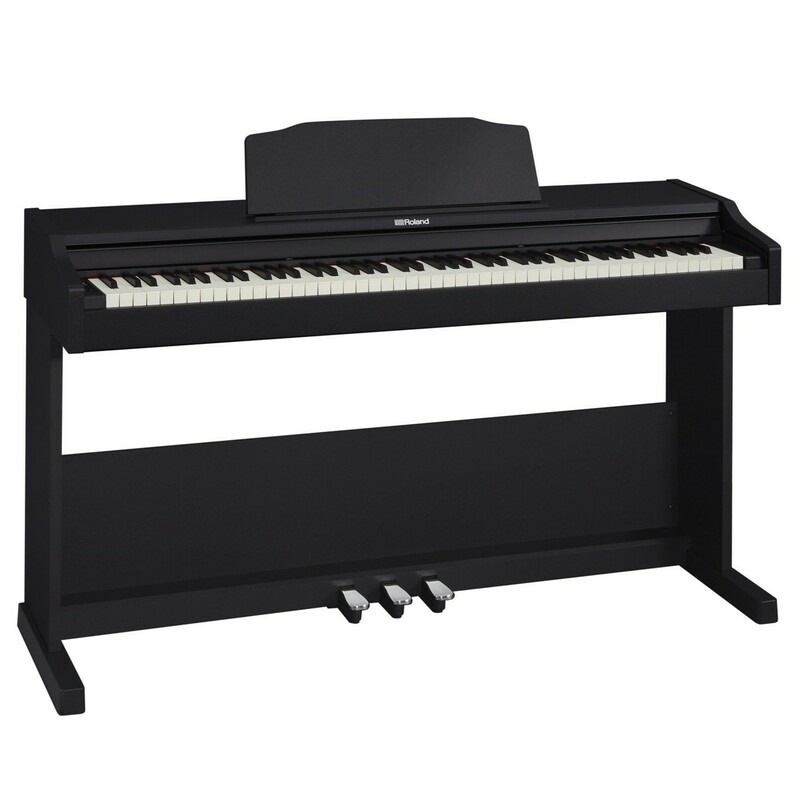 Roland’s RP series of digital pianos brings professional performance at an attractive price. 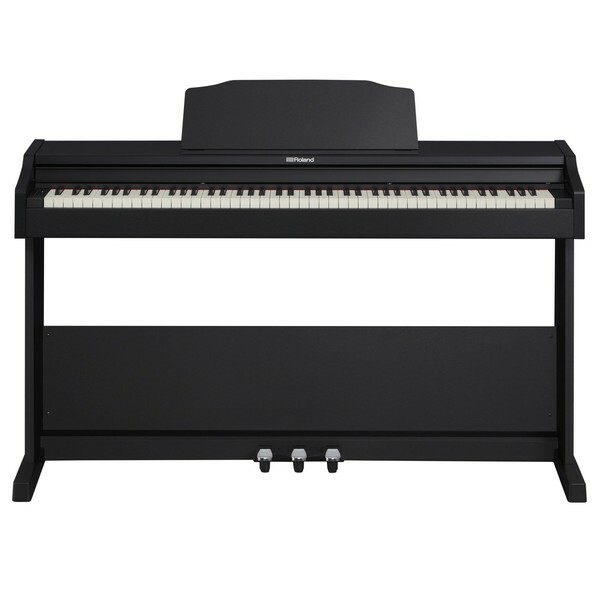 The compact design makes this piano series ideal for compact bedrooms or flats. 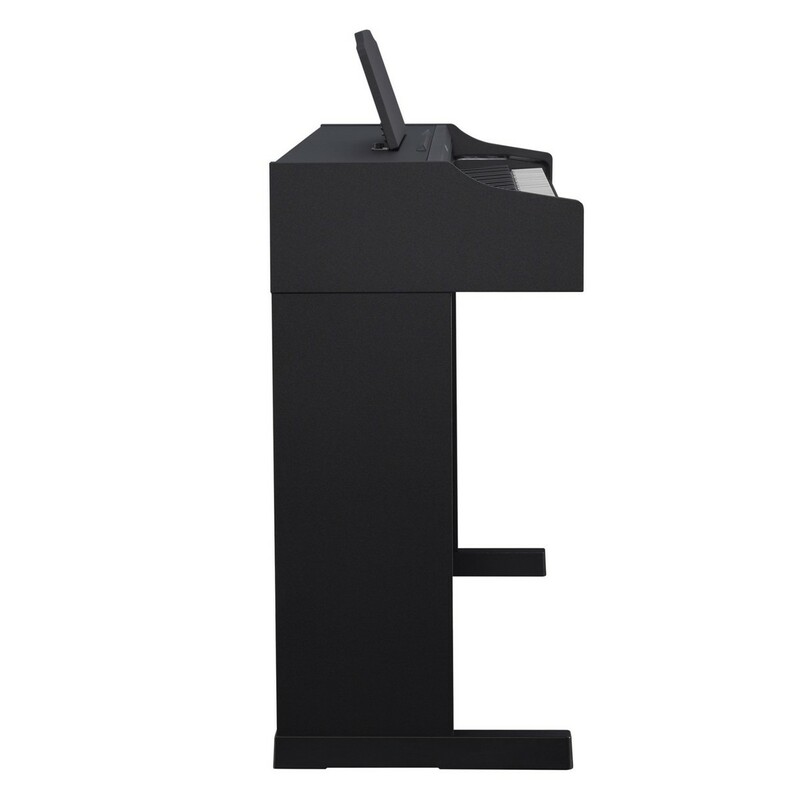 The integrated music stand and retractable lid cover allow the RP 102 to become even more compact, whilst still looking smart. The RP series focuses on easy playability ideal for developing students who want to excel as a musician. The three pedal system, ivory feel keys and wooden construction gives an authentic acoustic piano look, touch and sound. 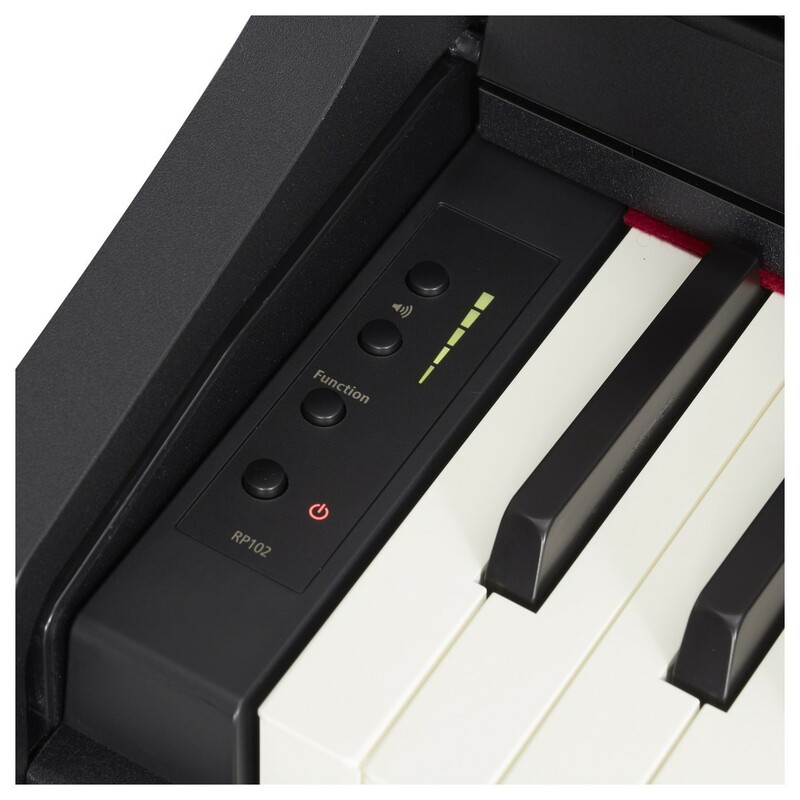 For musicians who require a compact digital piano to take them to the next level, the RP series is an ideal choice. SuperNATURAL Piano technology powers the onboard grand piano sounds, delivering a world-class performance. The RP 102 reacts seamlessly with your touch for a responsive and realistic performance. The intuitive Piano Designer feature makes it easy for you to personalise the RP 102's tone and response to suit your taste. Parameters such as hammer noise, cabinet resonance and even single note character are all able to be edited for your specific requirements, giving each musician their own signature sound. Despite having the sound and feel of a traditional piano, the RP 102 takes advantage of modern features to make it more accessible than ever. The integrated Bluetooth can be used to stream music from your phone or tablet, so you can play along to your favourite tracks. The USB memory slot can store your recorded performances directly as either a WAV or MP3 file. 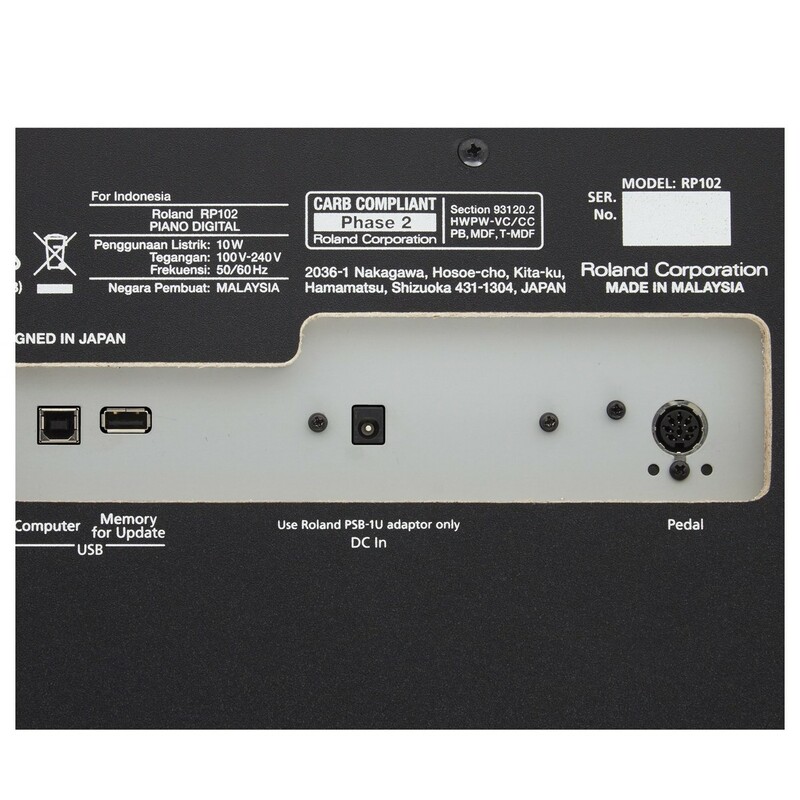 As well as this, your music production software can be connected via USB, making the RP 102 a functional controller. 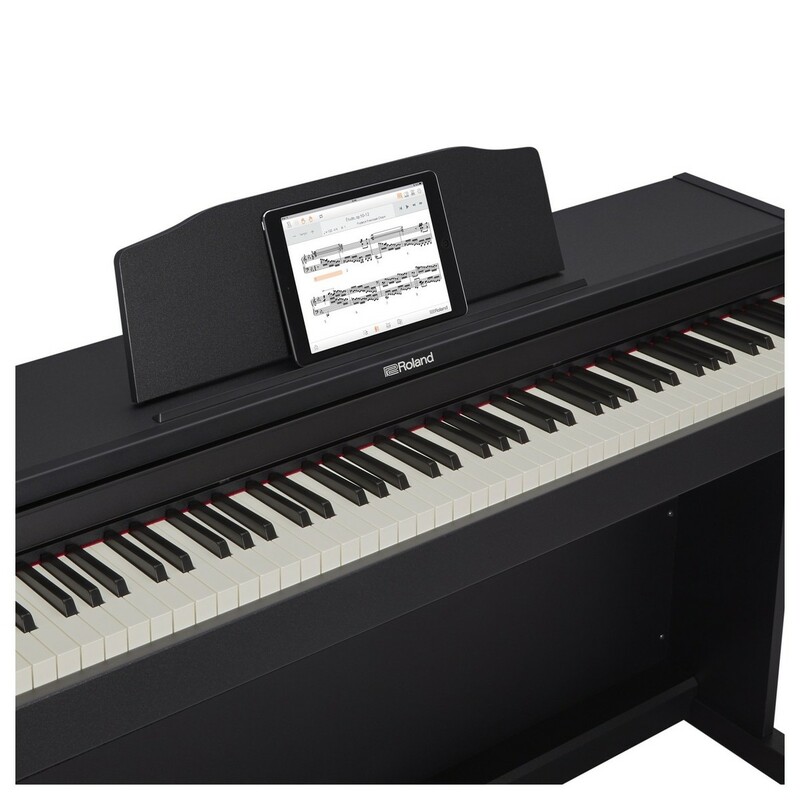 Thanks to the Bluetooth/MIDI technology, owners can use the Piano Partner 2 app. This free app follows the chords as you play and adds a full ensemble orchestra for an impressive performance. This technology can also be used for sheet music turning and the PiaScore apps.